I am mostly easy to get along with. I believe people should be able to make money doing whatever honest combinations of metaphysics they deem appropriate. Just because a set of magical techniques might be a combination of other techniques, I would be the first to tell someone, “Great Job on the innovation and combination.” What I absolutely HATE, is when people try to sell techniques as ancient that clearly are not and hide the root derivations of the techniques they are using. I am going to talk about Soul Shard retrieval in particular, what this means, and why most neo-shamanist approach are simply put Hypnosis. BTW, I LOVE hypnosis an immense amount. My issue is there is a level of mastery and skill required to do this the way I learned things from my family and several teachers. The different skill level and mastery required to do these techniques will be obvious, and why it is important that we as a community demand far more honest responses about the origin and use of some of these techniques. I am going to specifically give details about soul-shard retrieval from both the neo-pop manner which is effective for many cases and the more difficult way I was taught. I recommend that if you are using either technique, that you practice it several times before using it with another person. What is a soul retrieval, or better soul shard retrieval. The idea of a soul shard retrieval is that every traumatic event tears a piece of the soul of the shaman and does not allow for them to fully access their own power. This technique is probably the most known technique associated with neo-shamanic thinking. Soul shards can happen as a direct result of spiritual forces ( aka a magical attack ), emotional trauma or severe physical trauma( because of the emotional element). The concept of a soul shard IS NOT universal to all shamanism any more then the concept of a world tree is. However, because of Harner's Core Shamanism and the spin off drive to "make money off shamanism ideas", these concepts are considered "universal". They are not universal and Harner are often not doing it in the way that develops the spiritual power of the practitioner because for the most part there "is no spirit". The need and nescasity of spirit along with the difficulty of shamanic practice has mostly been abstracted away in a deluge of modernity. Anthropologists have already weighed in on Harner in a negative way, so I need to go no further. In a way they should correctly be called psychological, hypnotic or metaphor therapy and most importantly they do WORK. Many people will get benefits from using these techniques, however, the purpose and emphasis is so far from what I believe most shamanism was about, that it is not the same. The soul shard idea however, is one that my family and Reiki trainers did stress. In practice, it is a pretty dangerously powerful idea as I learned it. Pop shamanism assumes the soul shard is merely an energy block or lost energy. This, however, is not a well-defined notion. What does it mean to have lost energy? For pop psychological shamanism, this means there is a negative psychological habit that can be solved using a psychological technique of cognitive reframing usually implemented by regressing the subject within creative visualization. If that process sounds a lot like hypnosis that is because it is. Put a shaman's dress on that and you often have shamanic training. If you believe that there are no spirits, and that is actually all shamans did, you might be convinced also of the innate savagery and ignorance of indigenous people as well. No one wants to say that, because it’s fashionable to hate the modern world but love the assumptions in the modern world. But there are a couple very strong beliefs that you could derive when you actually study anthropology on shamanic thought. First, most cultures have a real and nuanced believe in spirits. Spirits are real, and they can exist inside and outside you, sometimes at the same time. Often times, it is the relationship that gives the Shaman strength. Second, a shaman would use ecstatic states to find the solution for the tribe or the individual. Ecstatic states, sounds fantastic right? I think so and I love them, however it was clear from the social structure and literature that not everyone had the ability to safely sustain the ecstatic states. Shamans were usually considered slightly odd and most would live on the outskirts of society. Once the pandora’s box is opened, a person might very well have difficulty seeing the world in the same light. Modern day psychonauts experience this, as do magicians, meditators and witches. Sure many shamans would interact with the indigenous societies they were part of but in a way they were outside of those cultures. In the context of the modern world, that has no role for the shaman, ecstatic states might very well break someone’s ability to function in the “real” world. The notion that everyone did this or that everyone should, simply is not historically supported nor is it supported in my own experience. Real ecstatic states have the consequence that they change your mind, and that is very inconvenient in a highly mechanized society. Now, I personally do not like the word Shaman, because the word should really be used in the context of a specific area in Siberia, but everyone generally knows what I mean. So back to the soul shard retrieval. Many people have told me that how they were taught to do a Soul Shard Retrieval was to guide the client back in time, have them relieve the traumatic experience, and either keep them going back to the experience which releases the trauma, or use another metaphor to help release the trauma. In fact on Deeper Down the Rabbit Hole, I have had a few shamans tell me this method. Each time I cringe. This is formally called Regress To Cause and is a pretty well established hypnotic technique. It is also amazing effective. The technique originally derives from Freudian analysis although modern hypnosis can make this go faster. This technique is very effective, and often I myself will use the technique. It is not however, a shamanic technique. 3. Flow back into time possibly through a journey through the underworld ( or other metaphor of world travel, for neo-shamanism). Now in a neo-shamanic context, the metaphor is almost always power animals or something akin to a mystical metaphor. These can be effective metaphors. To me this does not meet the criteria of an Ecstatic journey. It is very safe, and sometimes does not work. It also removes the role of the shaman in the tribe. Because we do not have tribes anymore, many experts will claim it is a good thing. I do not agree. It would be better if all the experts argued for a tribe again!!! Putting a mystical spin on the very useful technique serves a purpose to aggrandize the technique. Let’s assume for a minute, that spirits are real. Let’s further assume for a minute that it is possible to splinter off part of your own essence. Let’s also assume that part could in fact gain its own intelligence and possibly act on its own (since it is separated from the person). Let’s further assume (and this is backed up by a lot of experience), that if a spirit had “gathered” that part it would have influence over the person, or possibly could continually draw more energy from the person. • The part is trying to survive on its own, or has been so rejected by the person that it is trying to function as its own entity. It may have had some success, and now would not easily be re-assimilated. • The location of the shard is completely unknown to the person and might have been lost astral travelling during dream work, or magical attacks. • From a different perspective, the person can work through the psychological issues, and the fragmentation is mostly a psychological issue. • The part has been “claimed” or is being controlled by another entity or set of entities. • Worse, the person made some sort of deal with some spirits, and there is a debt attached to the part of the essence. There are probably multiple other possibilities. I have in my experience seen the five above (and variants). The Neo-Pop method most easily deals with problem 3, but ignores the other possibilites. Now, part of the difficulty of the process is you never know what you are going to get. 1. Banish and cleanse my space. I always feed the Ancestors and the Lwa too, and ask their protection (one does not really know what your going to get). 2. Using the energy sampling technique from Hands-On Chaos Magic: Reality Manipulation through the Ovayki Current I take a bit of the person’s energy. Mostly this is so I can get a strong impression of the real person. It is not sufficient to accept your beliefs about the person, you need to dive in deep. 3. 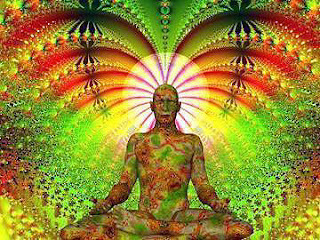 I will spend a good 30 minutes, just meditating with the person and their energy. Usually, I will ask the person to just sit still and breathe. If I have any confusion, I will use divination to give me hints and suggestions while allowing my spiritual allies to offer suggestions. 4. I will then will launch myself to my astral stronghold (Hands-On Chaos Magic: Reality Manipulation through the Ovayki Current has the basics of this) and then allow the piece of the person to guide me in my journey. When I have done this, I usually am so deep into trance that if people try to wake me to suddenly, it jars me. 5. Whatever happens, I run with the journey. If I am brought to an aggressive spirit (such as a demon), I ask it what claim it has to the part (if any). Usually even an aggressive or negative spirit, if it has a fair claim, will say so in my experience. Otherwise they just growl at you or try to hit you. If negotiation is possible, in the journey, I sit and negotiate for the person. Even if it is a part of themselves that has been denied, I will negotiate. Expressing love and support, and pulling that part back with me to the room, holding it with me. If it’s a spirit that will not release it, I will fight for the person, to take it back (and sometimes that gets a little rough). If the person is themselves skilled at this, they might be there with me, as it is possible to have multiple people on a journey, but it does take a little coordination. Sometimes a person has made a deal with a spirit when they were young as in a child (and they were tricked), and you just have to appeal to things like the Lwa, Guides, spirits and Angels to help fight for the person. The person’s ancestors are GREAT too, if they are close enough and willing to help. No matter, either a solution is found in the journey (a psychological metaphor to get the person better), or the shard comes back with the me (the hard or easy way). 6. Once the shard is back, I will use all the various techniques of sorcery, ceremonial magic, and Reiki to cleanse the shard of any impurities. Often I will use a bottle, altar or even crystal as a temporary decontamination center. This is really important, since if it has been with a hostile entity, there is a good chance that it will need healing. Do the healing before integrating anything. 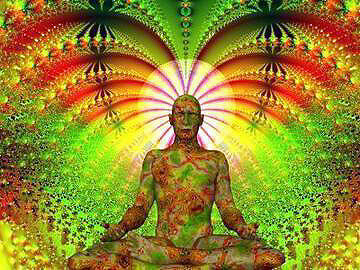 Keep the person in meditation. If the shard has been rejected, I walk the client through mantra work and hypnosis to reintegrate the parts that I have retrieved usually by saying I love and I accept you. 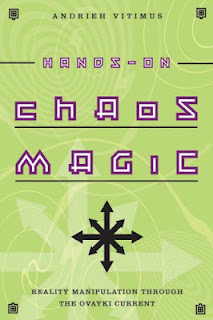 If you need help with this, again, Hands-On Chaos Magic: Reality Manipulation through the Ovayki Current has a ton of suggestions to work with shards of yourself. The methodologies work with shards of other people as well. 7. Once cleaned, or accepted, the shard should energetically be moved over the person. At this point, the person should say I love and accept you as they fell the parts re-integrating. At this point, liberal use of healing modalities should occur on the person. This could include Bathwork, Reiki, Prana work, angel work… but it should happen. 8. Again, I would use divinations to advise a course of action and double check the work. The course of action particularly things the person should avoid is important. The last thing I want to do is do exactly the same journey, if it was difficult. Now, in practice, a shaman can get a lot of information from the Journey and as you get better with the technique, some of the information can get quite detailed. It is not uncommon to find the person’s spiritual allies giving suggestions or an Ancestor pop up and have something to say that needs to get transmitted back to the person, because it is important. Sometimes, the shard itself will come back with new information, having changed, and the integration process will cause the person to develop new abilities. Sometimes, even going on the journey, and working the journey fixes other things in the person’s life just because the steps rework the person’s energy at very low levels. The journey is not always to some far flung astral world. Sometimes you are journeying to their microcosm. • The ability to maintain deep trance states possibly using different methods of trance. • Hypnosis is very useful in the integration stage. Most of these techniques are covered in Hands-On Chaos Magic: Reality Manipulation through the Ovayki Current but I would anticipate that someone would have worked through most of the book before they could confidently pull off this technique. Now, before doing this for someone else, PLEASE, PLEASE, use this technique on yourself. Seriously, get it down on yourself before even THINKING about doing it on someone else. IT is a risky method. Now I want to say, the Regress to Cause is a powerful and effective technique. I use this all the time. It really is a great technique. My issue isn’t that those techniques are being used; my issue is that people are putting marketing over honesty. This places the bar far too low for the skills we “shaman” should be developing and is a disservice to what we could achieve. An excellent post. Thanks for sharing. "It really never was, do whatever you want for me"